Take your game to the next level wearing the Asics Gel-Game 6 men’s tennis shoes featuring California Slip Lasting technology for a more secure and comfortable fit. They are best suited to players seeking fast-feeling and supportive shoes and have mesh vents in a breathable upper for proper ventilation. The cushioned EVA midsole with Forefoot GEL® Cushioning System softens impact of abrupt movements to ensure full-match comfort and Trusstic System® reduces weight of the sole unit. To provide traction, durability and grip on various court surfaces, the outsole is made of solid, non-marking rubber. 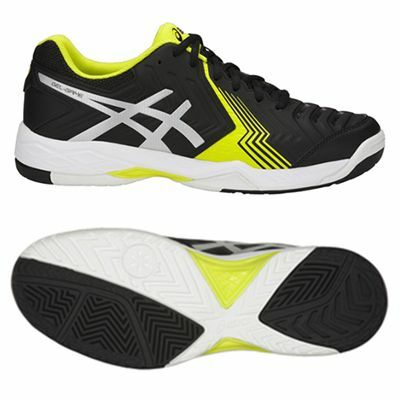 for submitting product review about Asics Gel-Game 6 Mens Tennis Shoes.